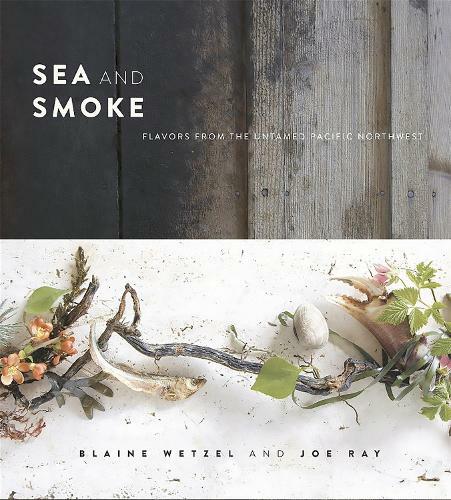 2015 JAMES BEARD WINNER BEST CHEF: NORTHWEST Sea and Smoke is a travelogue chronicling the plucky ambition of a young chef determined to create a world class dining destination in an unlikely place. A native of the Pacific Northwest, two-time James Beard winning chef Blaine Wetzel saw Lummi Island, with fewer than 1,000 residents, as the perfect vehicle for his brand of hyperlocalism: a culinary celebration of what is good and nearby and flavorful. Now, a reservation at The Willows Inn is one of the most sought-after in the world. The smokehouse, the fishermen, and the farmer yield the ingredients for unforgettable meals at The Willows, reflecting the foggy, sea-salty coast that surrounds the island. The tale of the restaurant's rise to the top is told by award-winning journalist Joe Ray, who immersed himself in life on Lummi Island for a year, documenting how it all comes together to make The Willows Inn one of the world's great destination restaurants.